To those who live and visit there, Seoul's Gangnam district is associated with wealth, luxury and power. Park Jae-sang, better known as PSY, told the world that he might look like an ordinary conservative man, but he's a man who knows how to have fun and experience the finer things in life. With a song that soared up the American Billboard Hot 100 Chart, PSY represents Gangnam, South Korea, a region in Seoul. But Gangnam really isn't about a pulsating beat, or a well-suited dancing man surrounded by beautiful female dancers. Translated into English, Gangnam means south of the river, and to those who live and visit there, Gangnam in South Korea is associated with wealth, luxury and power. You can eat the very best meals, see Gangnam sights, and even get your Gangnam Style dance on, but where can you spend the night in accommodations that are not only in Gangnam, but are worthy of the Gangnam Style title? I have a few suggestions. 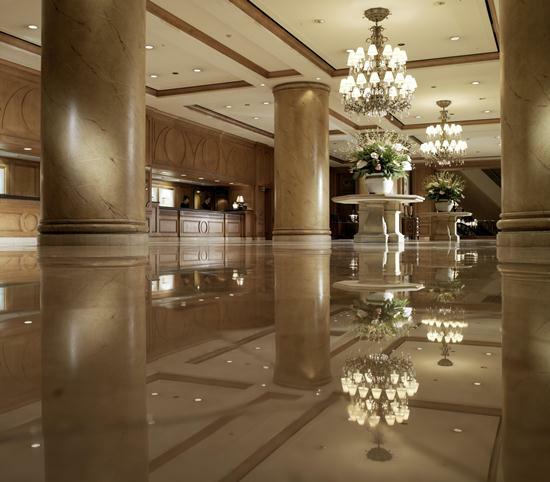 You can't go wrong with floors that shine like glass, right? The Ritz Carlton in Seoul has one of my favorite features, a bathroom with a view. The one pictured is in the presidential suite. 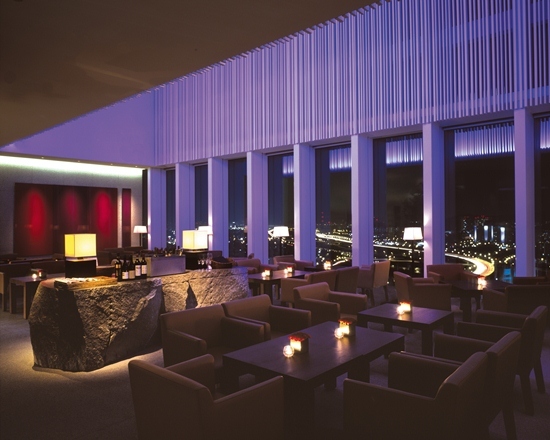 The hotel also has four restaurants, a fitness club, and its near a few luxury department stores. Hey, there's an in-house floral shop, dry cleaning services, and you can even get your shoes shined for free at the Ritz. Guests can spend the night in an ondol suite or choose a suite or choose a suite with Western-style beds at the Grand InterContinental Seoul Parnas. This hotel has five restaurants, a beauty salon and live entertainment. The on-site Metropolitan Fitness Club has an indoor golf range, an aerobics studio, and (my favorite) a Jacuzzi. The windows in the lobby have me wondering when some superhero will make a grand entrance at the JW Marriott Seoul. Aside from the sleek lobby, this hotel has gorgeous views of the river and mountains. Relaxation is definitely my thing, so I'd head over to the spa, and mellow out in the steamroom, to get my Gangnam Style on. There are five eateries, and that's okay, because I could always work the weight off in the fitness center. The Renaissance Seoul's indoor pool with a view will make me feel as though I am on top of Gangnam. There's an outdoor pool, too. Six restaurants, a beauty salon/barbershop, and fitness center are among this hotel's list of amenities. 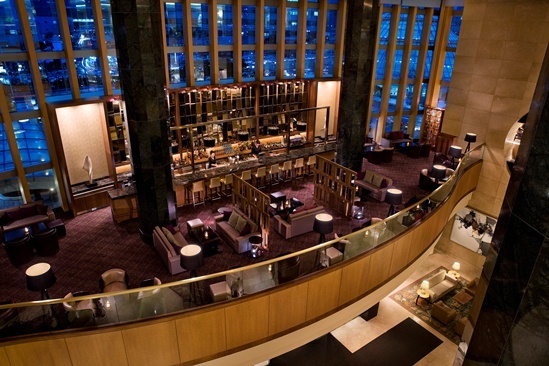 The lounge at the Park Hyatt is the epitome of cool sophistication. It looks like the scene from a love story or maybe it resembles a meeting place for secret agents. Use your imagination. The beds at the Park have soft Egyptian linens, which are luxurious and super-cozy. Guests also have access to a private concierge.